Outstanding total renovation of this home in tiger island creating a floor plan with today's design and demand in mind. Although not done for resale purposes, but personal enjoyment. This residence was both professionally designed and decorated from floor to roof, with 2 master suites; while the 3rd bedroom shares the guest bath with direct access, essentially making this a 3 suite residence. Originally a 3+ den, that den was creatively, turned into a wine room, including a mini dishwasher, wine refrigerator and outstanding wall wine racks. The master suites boast beyond normal improvements while the kitchen extends to its own sitting area, which is off the patio and outdoor space. While most all of the homes in tiger island require improvements of some kind, this home does not. Move in ready. New roof (2) ac systems (1 new) new appliances new flooring new cabinetry new counter tops and more. Majestic custom home built by quality empire homes. Gorgeous lot with extra space between homes. 3 car garage w/painted floors. Custom window treatments throughout home and even in garage. Come through the double door and enter into a glorious foyer. Formal dining room, fantastic built in office with french doors. Master bedroom offers beautiful view overlooking lake. A dream room to wake up in. Master bath with dual sinks and soaker tub. Large walk-in closets. 2nd and 3rd. Bedrooms each has their own bathroom. Perfect for company! Granite counter tops ands appliances made to match cabinets. Lots of cabinet space in kitchen. Large pantry off kitchen. Family room is cozy and has pocket doors leading out to expansive lanai. Large laundry room with window. Beautiful lanai with lighted pool and spa. Lake view is great with complete privacy. Home has been extremely well maintained. Immaculate!! Just move right in and start enjoying the life you have always dreamed about. Another great asset is the player's club and spa is optional not mandatory, so the choice is yours. 24 hour gated entry. A great community. You will not be disappointed. Bring offer today!!! Lely resort wins record 8th community of the year award. It is a great place to live and this single-family home is in the gated community of lely resorts classics plantation estates. Enjoy this custom built lundstrom home with a lovely water view from oversized lanai. This home offers three bedrooms plus a large den and three and 1/2 baths and 3 car garage. Some additional features include great room, impact glass, beautiful wood floors throughout, high ceilings with indirect lighting, upgraded kitchen with granite kitchen counters, wood covered appliance. One of the reasons that makes lely resort so popular is the players club and spa. A great place where you and your family can relax and enjoy the best amenity center in southwest florida. Some of the features include 2 tropical pools with waterfalls, a 25-meter lap pool, 13 har-tru tennis courts, 4 bocce courts, 2 pickleball courts, a 6,000 square foot fitness center, restaurant, tiki bar and grille and more. Another great bonus for lely resort is that it offers 2 public golf courses, the flamingo and the mustang and 1 private golf course, the classics. Please call today. Reduced! Shows like a model!! As you enter through the new custom cast iron front door you will feel the quality and comfort of this spacious inviting home. Great room plan has 3 bedrooms plus den/3 full baths. Volume and tray ceilings with 7 crown molding and multi-audio/video premium speakers throughout. The chef's gourmet kitchen has rich wood cabinets, walk-in pantry, gas cook top with kitchen aid appliances. The master suite has dual walk-in closets with his and her vanities, walk-in shower and soaking tub in the master bath. Enjoy private outdoor living in the expansive screened lanai whether cooking on your outdoor kitchen with dsc grill and marvel refrigerator or lounging on the deck with the tropical pool and spill over spa. Extensive additional upgrades include impact glass and a generac generator, uv system in hvac and 3 car air conditioned garage! Enjoy the award-winning players club and spa which offers resort-style swimming pools with waterfalls and kids area, tennis facility, fitness center, restaurant, tiki bar, billiards room, theater room, pickleball, bocce ball and a spa. Lely resort is also home to three championship 18 hole golf courses. 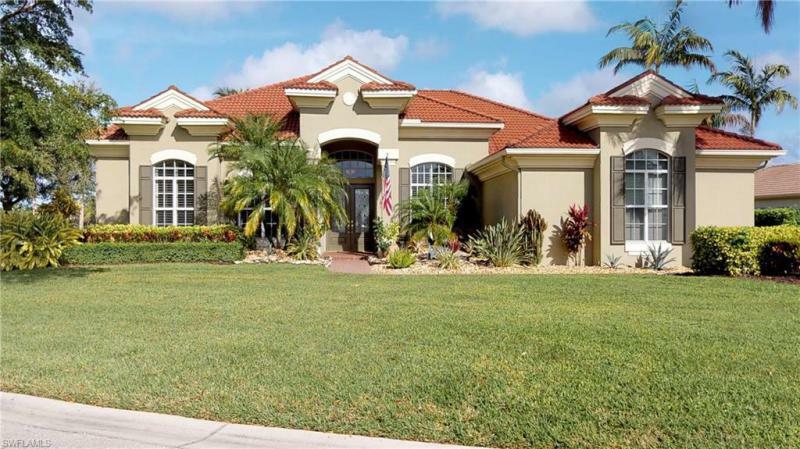 You must see this private home available in the award-winning lely resort community. Surrounded by lush landscaping and situated lakeside with the mustang golf course just beyond, this muirfield model home in the majors neighborhood boasts a much sought-after private western exposure. The home features 4 bedrooms and a den along with 3. 5 bathrooms. The master suite is large with tray ceilings, recessed lighting and large windows with plantation shutters. Entertaining will be a breeze in this home with a large open kitchen including a breakfast bar, breakfast nook for additional dining, formal dining area and sliders that pocket out of sight to open the living area up to the lanai. 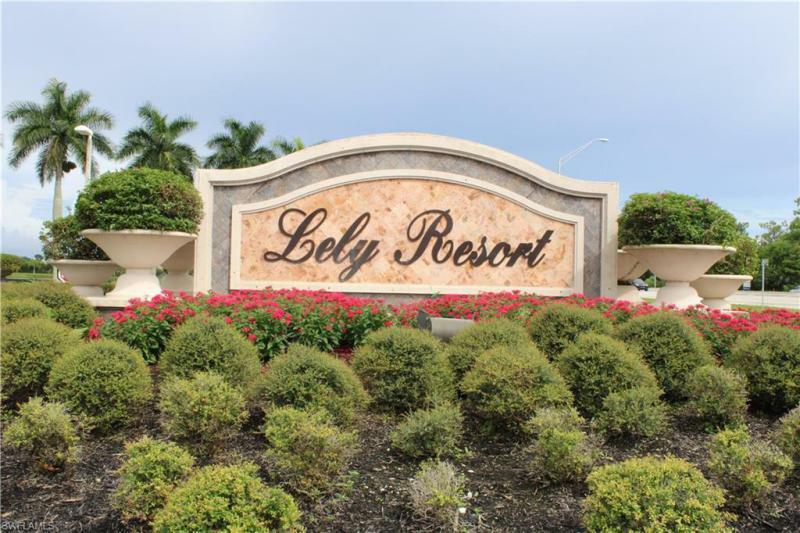 Lely resort has 3 golf courses, 2 public and a private club. The players club and spa is required and highly desired! The club provides 13 tennis courts for the competitive player, 2 resort pools, a lap pool, bocce ball courts, full-service spa, fitness center, full-service dining with an indoor-outdoor bar plus the best tiki bar in town. Make sure to stop by and see this wonderful home before it is gone.